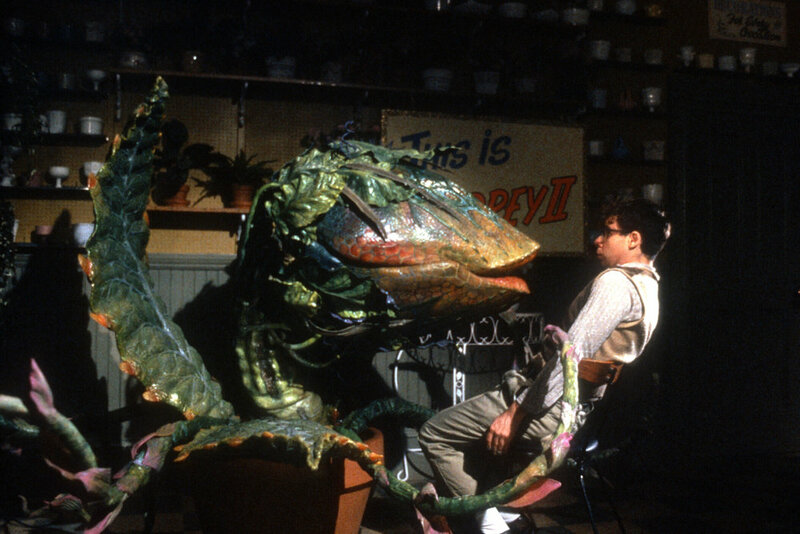 When Mama Blue joins the Mean Green Mother from Outerspace, Little Shop won’t be contained by screen or stage. It’s been more than thirty years since a bloodthirsty plant wreaked havoc on Skid Row. And speaking of destruction, devotees of the Frank Oz movie musical -- based on the Roger Corman flick of the same name -- know that a horrific ending was scrapped due to disapproving test audiences in favor of a more lighthearted one. Crystal, Chiffon and Audrey II will be in attendance at the screening to share their memories of “the tragic events” and lead a sing-a-long. This director’s cut includes the catastrophic, tragic and explosive alternate ending to the film that features Rick Moranis as a downtrodden orphan, and Steve Martin as a dentist with a professional yen for pain.